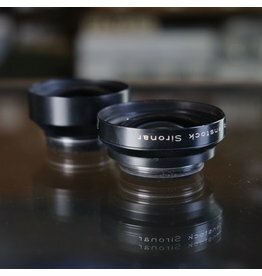 Rodenstock Sironar 210mm f5.6 lens cells only, without shutter. Front element has some delamination. Sold as-is for parts or repair only. 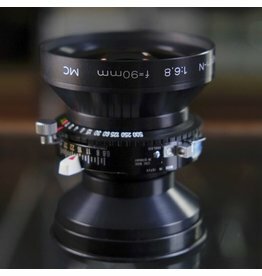 Rodenstock APO-Rodagon D 75mm f4 enlarging lens in excellent condition, with clean glass and excellent function. A sharp apochromatic lens in standard 39mm thread mount, for enlarger or bellows use. Optimized for 1:1 magnification. Includes bubble case. 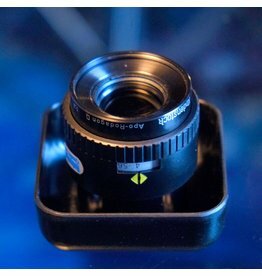 Rodenstock 75mm f4 APO-Rodagon D.